Simplify compliance with regulations, save costs, and streamline market delivery. Between regulatory compliance, price swings, and cutthroat competition; the last thing you need to worry about is whether or not your network is secure, if you can find a document, or if your printers and copiers are working properly. Datamax Arkansas can help. We will work with you to identify your points of pain and then develop a solution geared to your business needs. You have to manage a wide variety of documentation (production reports, geological surveys, emails, invoices, and more). Managed and store them centrally – and allow instant retrieval – with enterprise content management. Document compliance with ISO standards can be tedious and time consuming. Streamline your document processes with workflow management for ISO compliance – and invoice processing, HR, and any other business processes. Reduce costs of print by introducing printing policies that are enforceable with software. 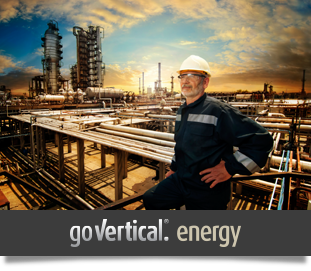 Securely and quickly exchange information to satisfy compliance and reporting requirements – EPA, FERC, and any others. 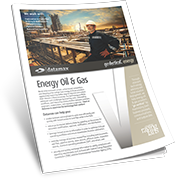 Energy companies go Vertical® with Datamax Arkansas with efficient workflow, faster communication, and an improved bottom line. If you're ready for faster and more accurate access to the documents and research you rely on to make decisions, let's visit!